I have a fun DIY for you! 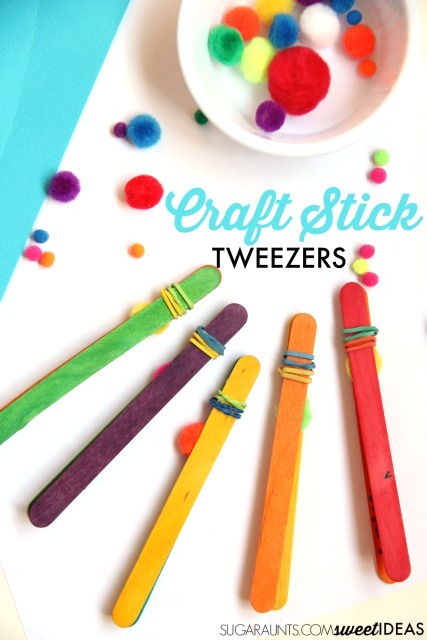 These craft stick tweezers are easy to create and a workout for finger muscles. We made them in a rainbow of colors and you can use them for color sorting while working on the fine motor skills needed for handwriting and small motor tasks like managing clothing fasteners. How Do Using Tweezers Help With Handwriting? 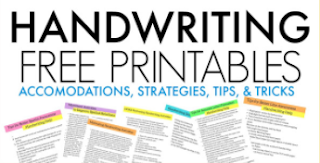 You might know that I love to share easy, manageable tips on how to help kids with handwriting and pencil grasp. Recently I shared a quick tip on strengthening the lumbrical muscles for more effective pencil grasp and endurance in handwriting. Today, I've got an extension on that activity, using tweezers. So how do tweezers help with pencil grasp and handwriting? When a child uses tweezers to pick up small objects (using an appropriate grasp on the tweezers, of course!) they are building the skills needed for a tripod grasp. A functional pencil grasp includes the thumb and the first and third fingers or the thumb and the first, second, third, and fourth fingers. These grasps allow a child to move and advance the paper with small motions at an appropriate speed for writing legibly. Using tweezers is a great way to build the muscles needed for these grasps on the pencil. When using a pair of tweezers to work on pencil grasp, be sure to position the tweezers as if it were a pencil. Encourage the child to bend the tip of their thumb to build the thenar muscles of the thumb, while ensuring an open web space. The resistance of squeezing tweezers develops the arches of the hands which are needed for a curved palm while holding a pencil. 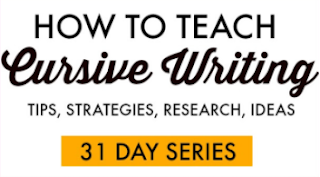 An extended wrist provides the most functional position for writing or tweezer-ing. 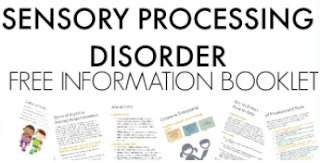 Full disclosure: Affiliate links are included in this post. 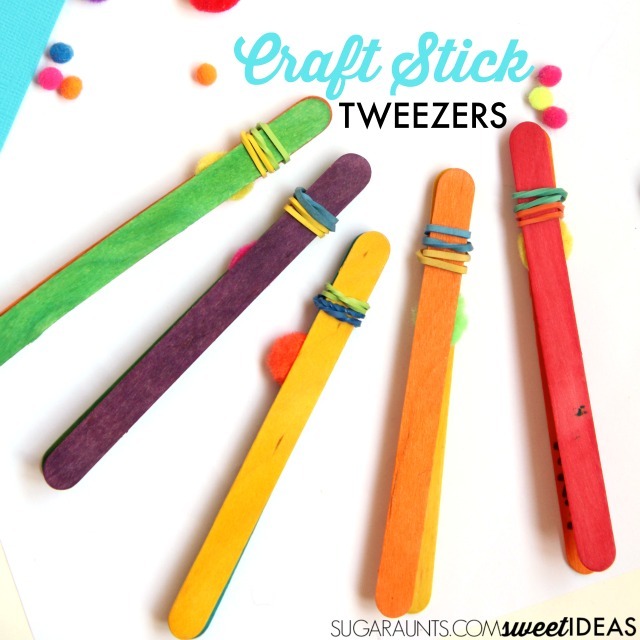 Making these colorful tweezers are so easy. We used rainbow craft sticks (ours, we received from www.craftprojectideas.com). You'll also need small rubber bands and a small craft pom pom. 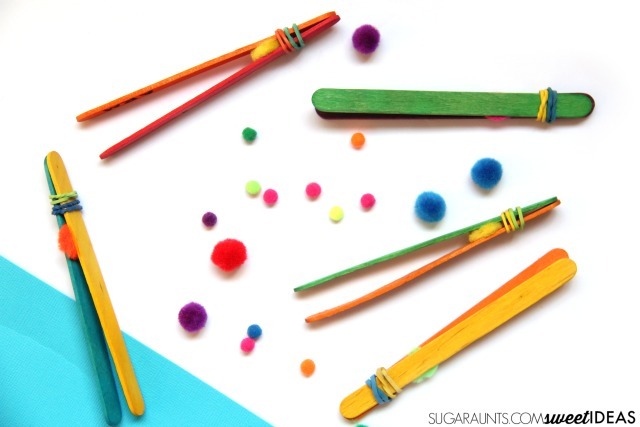 To make the tweezers, stack two craft sticks together and position the pom pom in between at one end. Add two rubber bands to the end of the tweezers. A larger crafting pom pom will make the tweezers wider at the opening. This will increase the amount of distance needed for grasping small items. 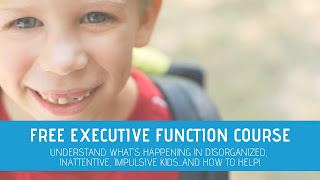 This is a great way to grade the activity. Now get to building those hand muscles!